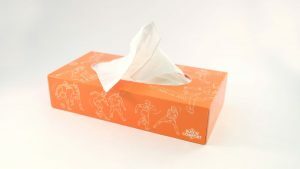 Iris Amsterdam has created orange tissue boxes illustrated with some of the most iconic moments in Dutch football history to help the nation remember past victories as they mourn not making this summer’s world tournament. “As lovers of Dutch football, we were just as gutted that the Flying Dutchmen aren’t going to Russia this summer,” explained creative Tristan Lenczner, who came up with the idea with his partner Simon Carr. It’s the second major tournament the Dutch team have missed out on recently, having also not qualified for the 2016 European Championship. 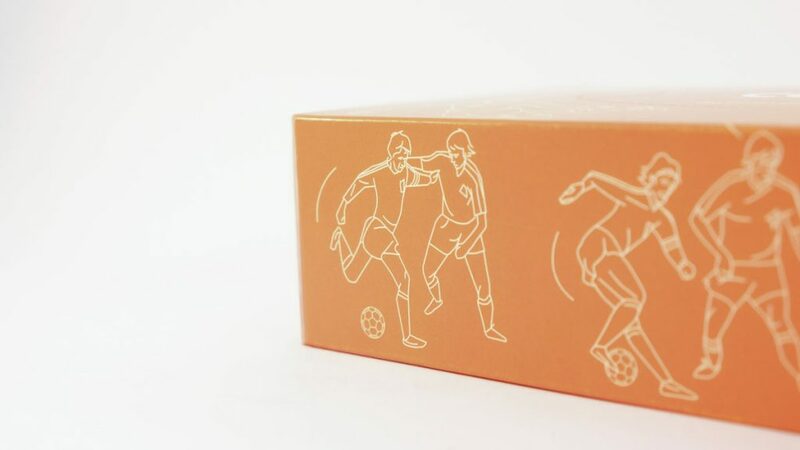 Each Dutch Comfort box is created in the national orange colour and features illustrations of past Dutch footballing greatness. The illustrated images represent Giovanni van Bronckhorst’s goal in 2010 against Uruguay in the World Cup semi-finals, as well as the ‘flying Dutchman’ Robin van Persie’s iconic header in the 2014 World Cup against Spain. Illustrator David Flanagan was behind the creations, having worked on previous football designs for Manchester City FC and New York City FC. 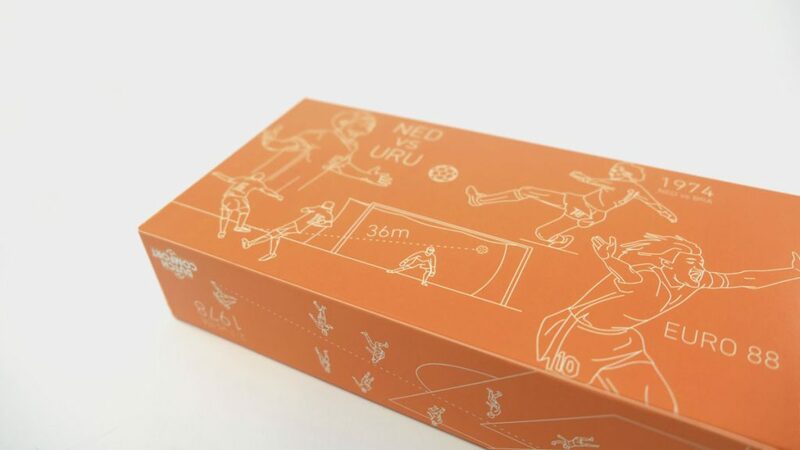 Whilst the Dutch Comfort boxes are not for sale, a select number of the limited edition boxes will be available to players and fans. 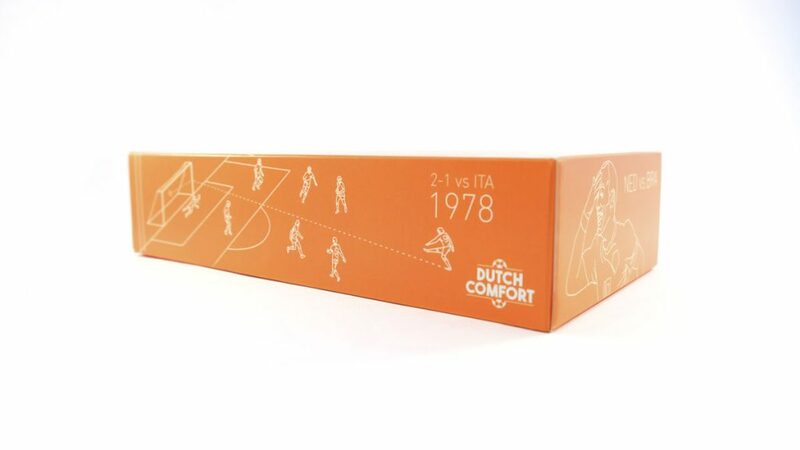 People just have to tweet their favourite Dutch footballing moment to @DutchComfortBox for the chance to win. The World Cup activation is the latest example of Iris Amsterdam’s thirst for tapping into culture, with other examples including Amsterdam Aqua: Bottled Canal Water and the Santa’s Photoshop, which turned their office window, located opposite the famous Rijksmuseum, into an interactive social Photoshop experience just in time for Christmas.